The Finnish Safety and Chemicals Agency (Tukes) has found high levels of the restricted metal, cadmium, in jewellery. The agency investigated 91 pieces of metal jewellery and found that in five products it was present at levels from 42% to 90% – far exceeding the permissible EU limit of 0.01%. Cadmium has carcinogenic and mutagenic properties and is very toxic to aquatic organisms. The study also found nine products contained solubilised nickel above what is allowed. Nickel is suspected of causing cancer, respiratory and skin sensitisation. Following the tests, Tukes ordered the withdrawal from the market of jewellery that contained high levels of the metals. No lead was found in any of the products tested. The agency says that higher levels of restricted metals are increasingly being found in jewellery. In 2015, out of 30 pieces examined, only one contained a large amount of cadmium. There has been increasing international activity on the monitoring of metals in jewellery. Earlier this year, Sweden carried out a similar test and found that nearly a third of the marketed items tested contained levels of lead and cadmium above permitted levels. Echa has recently called for evidence to identify information necessary to review the current restriction on lead in jewellery. 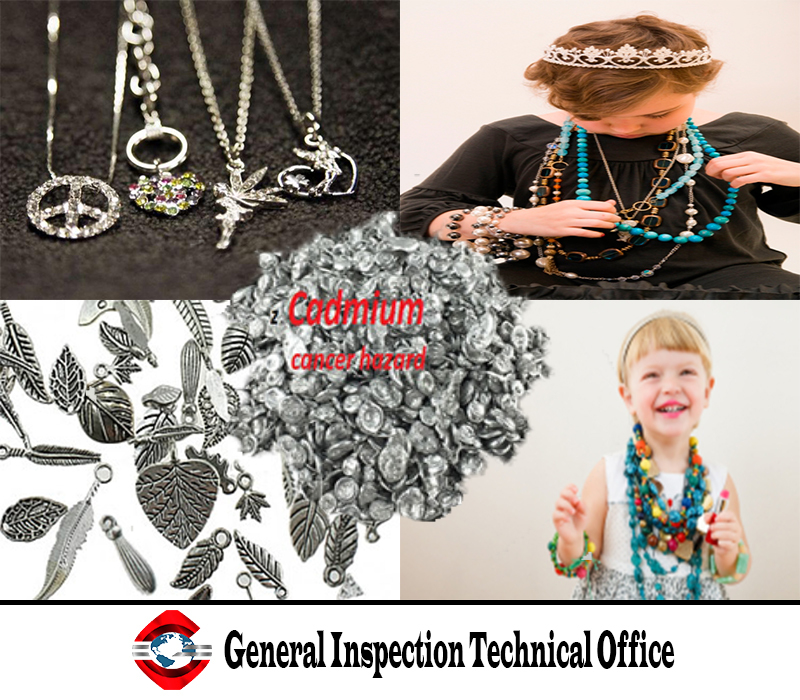 In North America, at the end of last year Health Canada proposed amendments to the children's jewellery regulations that would implement restrictions on cadmium and lead. And in the US in 2016, the US Public Interest Research Group (US PIRG) said toys containing lead are still being sold.